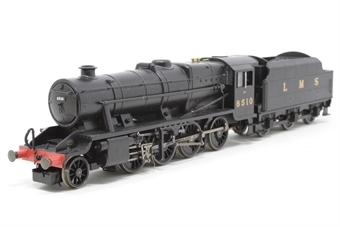 Designed by Stanier in 1935, the heavy duty Class 8F's were so successful that, on the orders of the Wartime Railway Executive Committee, many were built by the other three rival railway companies. Of the 852 built nearly 200 were shipped overseas during and after the Second World War. The Hornby model, which has now been Super Detailed, benefits from metal handrails throughout, with power pickups on all tender and locomotive drive wheels. 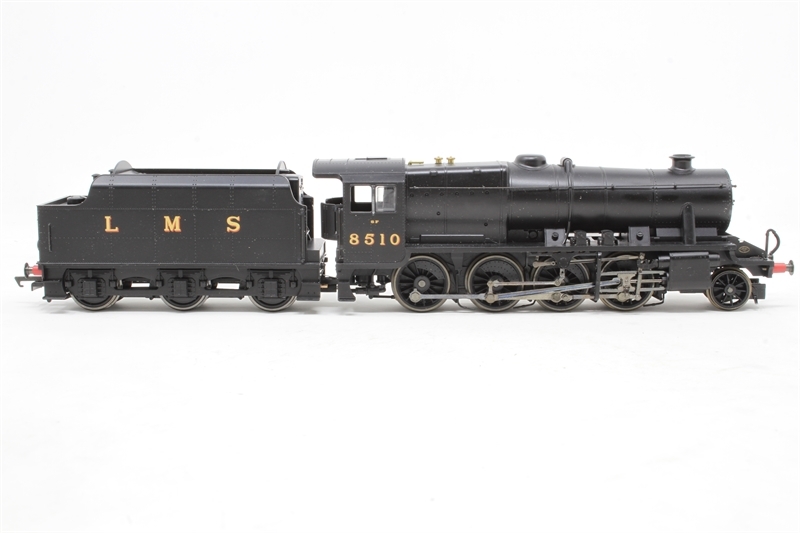 With power provided by a 5 pole motor housed in the locomotive body. 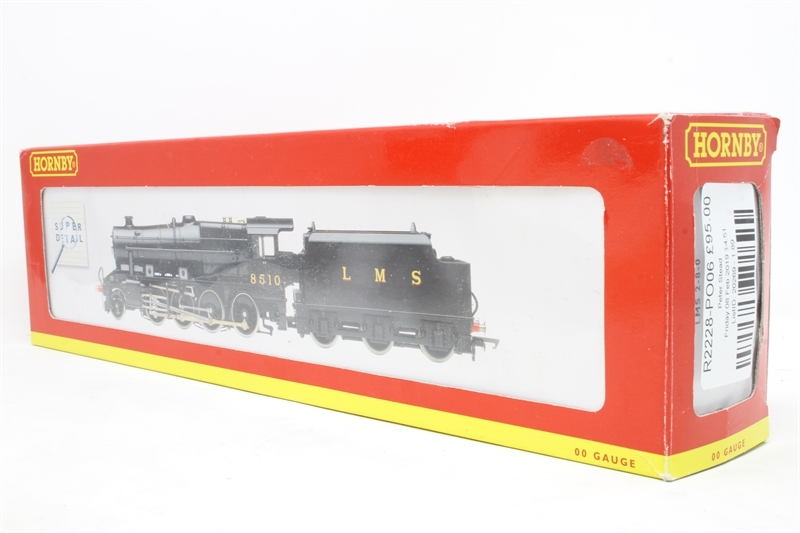 The model illustrated is pre-production and not to the Hornby 'Super Detail' standard Manufactured to Hornby Super Detail standard 5-pole motor located in locomotive Suitable for use on Hornby second radius curved track (438mm) or greater 8510 running number some models illustrated may have numbers differing from those available.